Holding 200-250kg of aluminium, this single chamber aluminium melting furnace has been designed to process all types of irony, clean cast, old rolled and baled aluminium into quality re-melt ingots. 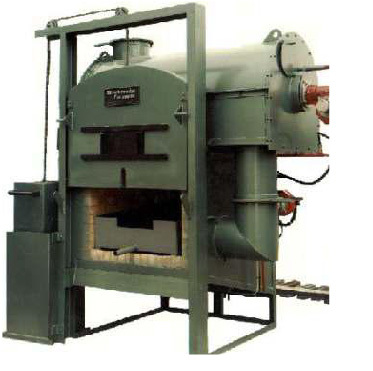 Heat in the melting chamber and afterburner is raised to a controlled temperature using the fully automatic burners. The furnace is then charged with the material. After a short melting cycle, clean iron, steel and dross can be removed from the front of the furnace, and the remaining molten metal cast into ingot moulds. The furnace will be re-lined and reconditioned and can be seen on site at McIntyre. Photo shows a similar model.